Living in the now is the unique ability to focus completely on the present task, without being sidetracked by bad thoughts about either the past, or the future. Eckhart Tolle writes that he reached such a state through a single flash of insight, transporting him into an enlightened state of joy. But, ordinary people may not have easy access to Tolle's unique state, which instantly released him from being tortured by his emotions. 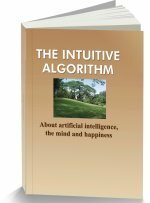 This website suggests a series of steps, to achieve a reasonable degree of freedom from negative emotions. True Living in the now is only possible, when you have managed to become reasonably free of troubling emotions. How the thought "I cannot live with myself any longer," transformed Eckhart Tolle. Continual switching between the intelligences in a triune brain keeps you in turmoil. Only the prefrontal brain, within it can keep you calm. After achieving a modicum of peace through the mind control tips in this website, you need to continually concentrate on your current task, rather than in regrets for the past, or worries about the future. Concentration is achieved through a focus of your attention. You need self awareness to know when emotions seek to take control of your mind. Focus your mind on doing your daily routines well. Eliminate boredom through self awareness. Science has not reported an internal source of wisdom, which can envelop you in permanent joy. Eckhart Tolle is a widely respected teacher, with dedicated followers in Europe, North America and India. His book, The Power of Now, was on the New York Times best seller list. Tolle's story is remarkable. He had lived up to his twenty ninth year in a state of almost continual anxiety interspersed with periods of suicidal depression. As was usual, he woke up one night with a feeling of absolute dread, with a deep loathing of the world. He felt "I cannot live with myself any longer." When this thought kept repeating in his mind, he suddenly became aware that if he could not live with himself, there had to be two - he and the "self" he could not live with. Stunned by the realization, Tolle entered a new world. His depression vanished. For the next five months, he lived in a state of uninterrupted bliss. While it diminished somewhat in intensity, for another two years, he sat on park benches in a state of the most intense joy. He felt that what he experienced was a form of enlightenment, of union with the eternal, somewhat similar to the experiences of Buddha. While narrating his experiences, he quoted Buddha's definition of enlightenment as "the end of suffering." 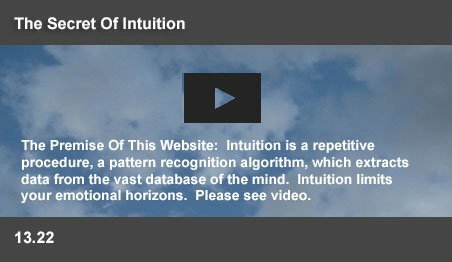 This website suggests that the mind is a pattern recognition system. Nature developed it over millions of years as a triune brain - an assembly of increasingly advanced intelligences, which interpret the world to enable survival. An early reptilian network made the system consume, or reject food, based on an evaluation of smells. Later, the possibility of disagreeable events caused the amygdaloid network to trigger fearful, or angry responses. A subsequent mammalian brain triggered social emotions like jealousy, or guilt adding even more options for directing thoughts and actions. These lower animal brains exist within your mind. They also normally tend to take control, causing you to often respond irrationally. The bodily responses of an animal to a tiger in the vicinity are not exactly suitable for meeting a career threat. You need a calm and rational view. Fortunately, the human competence comes from RI, a superior intelligence at the peak of the triune human brain, in the prefrontal regions. It is possible to still the instinctive responses of the lower animal intelligences, allowing RI to rationally view the problems of life. The RI view of life is more like a computer statement, which is neither angry, nor sad, but merely a list of facts. It is possible to achieve this state of mind, where RI is in control. According to the Buddhists, in this state, “You will not see something is good or bad, whether it is a beautiful picture or a very ugly picture, a sweet sound or an ugly sound. When you act like this, your mind will stay calm.” This website suggests a few practical steps to reach this state of mind.Living in the now is only possible, when you are not feeling bad – not dominated by negative emotions. The mind control steps can only help you to achieve a reasonable modicum of peace. After that achievement, you cannot just proceed to live detached from the world, on a park bench. Your mind is a powerful pattern recognition entity, which constantly recognizes disturbing events all around you. Past memories are recalled within fractions of a second by speed dial circuits in the amygdala, which triggers the startle response and avoidance behaviors. The sympathetic nervous system cooperates by raising blood pressure and heart beats. Your facial nerves generate emotional expressions of anger, fear, or disgust. These events occur before you know it. Such habitual responses attack your peace of mind. They persist for years, even if you have had success in freeing yourself from the more powerful negative emotions. Living in the now keeps your mind engaged, insulated from such attacks. You focus on the present, so that worry about an irritable boss, or anger against a rude driver does not cast you into a “now” full of bad feelings. You concentrate on your current task, rather than in regrets for the past, or worries about the future. Living in the now is the process of focusing your attention. Your mind requires a clear objective to be able to concentrate on any activity for any length of time. Unfortunately, cooking a meal, writing accounts, or driving home does not require much conscious attention. Such tasks are performed intelligently by our subconscious minds. At such times, our minds tend to wander and negative thoughts capture us in their web. Anger, fear, or envy can take control of your mind and cast you into negative moods for hours, or even days. But, you have the capacity to capture control by focusing your attention. Attention is primarily an activity of RI, your prefrontal regions. Focused attention stills unrelated neural activity. Living in the now requires you to become convinced that your current task requires your undivided attention. It requires you to practice bringing your attention back, whenever it wanders. Living in the now is easier when you know the moment negative emotions capture the control of your mind. The mind control tips in these pages can help you to become suitably self aware. The process makes you more conscious of your sensory perceptions, any muscular tensions in your body and your breathing routines. You become aware of random thoughts, which stray into your mind. Such awareness usually stills the unpleasant thoughts. “Ah, ha... that was a bad thought!” You will recognize your physical reactions, when bad thoughts surface. Such self awareness will have brought you into a reasonably stable state of mind - an unbelievably calm and peaceful world. This is the process, which helps you to develop the powerful ability to focus your attention. Only this ability makes Living in the now practical. The performance of many habitual actions require little or no conscious attention. Subconscious processes enable you to get dressed, have your meals and commute to work. Worries about your work or relationships can disturb your mind during such times. When you have learned to control your thoughts, you will have learned to come to terms with the problems in your life. Living in the now is about focusing on the present and leaving it to your subconscious mind to find answers to the problems that remain. Having accepted the possibility of failure, you will be thrilled if a solution emerges from an unexpected quarter. Focusing your mind on getting dressed, or cleaning up your room should become a habit. Get into the routine of chewing each mouthful during meals and experiencing the aromas and tastes of your food. Observe the people and surroundings during your commuting trips. The time-study systems in factories spend time and effort to improve simple activities in production lines. A single operation like the assembly of a circuit board is analyzed down to its tiniest detail. The process usually shaves off minutes from most processes. Clearly define an event and study it. Focus on “sitting down,” or “brushing your teeth.” Try and do it with the least strain on your muscles, in smooth easy movements. When you focus your attention on what you are doing, your whole body absorbs the process and keeps inventing new ways of improving your performance. The powerful advantage is that your RI remains fully in charge and prevents stray emotions from capturing control of your mind. The people in your life influence the quality of your life. Their motivations and moods decide whether they are courteous and helpful, or rude and obstructive. You have a powerful advantage in your interactions with people, when you can pay attention to them and understand their needs and fears. A caring approach can still hostility and will make them cooperate. Living in the now implies devoting attention to the people you interact with. At work, it requires a better understanding of the goods and services, which you deliver. It requires you to listen to people and discover their hopes and aspirations. A successful retailer is expected to observe the clothes worn by her customers and stock and order the right dresses and accessories. Such constructive thoughts will crowd out all those negative thoughts, which always wait in the sidelines. Living in the now is easy when the words of a newsreader, or a scene in a movie grabs your attention and keeps you glued to your chair. But, there are also times, when you keep switching channels on TV to find nothing interesting. Tedium is an inevitable part of life. Bringing up a child, or writing accounts for a mindless corporation requires hours of repetitive work. Even the most glamorous jobs are not free of ennui. Even the President of a country sits through hundreds of functions, listening to the drone of endless reports. But, boredom is an emotion, which signals restlessness and lack of interest in the surroundings. Only self awareness can convince you that you are the victim of an emotion. That knowledge can release you. Once freed from the emotion, your mind will discover reasons for Living in the now. The only conscious decision you need to make is to focus on whatever it is that your mind tells you appears to be interesting. It can be just the joy of feeling what a miracle it is to be alive. Tolle suggests that there is a mystic source of freedom and joy within us. While it is possible to achieve a limited degree of freedom from crippling emotions, such freedom can only lead to a calm state of mind. Joy is an emotion caused by something exceptionally good or satisfying. Life does not constantly present us with good and satisfying experiences. Tolle's intense state of transcendent happiness along with an overwhelming sense of contentment appears closer to the definition of euphoria. Euphoria has also been cited to occur during religious or spiritual rituals and even during some types of meditation. Science reports that runners exhibit high levels of endorphins binding to opioid receptors within several regions of the brain, involved with positive emotions. Endorphin release does play a role in the reward system and is believed to cause a chemical addiction to consistent exercise. Many experiences in life can trigger the joy emotion. But, science has not reported an internal source of wisdom, which can envelop you in permanent joy. Such joy is the mystic experience of a privileged few.